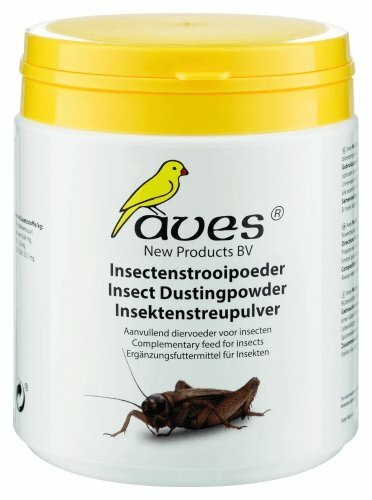 Aves Insect dustingpowder provides feedinsects with high contents of calcium, vitamin D3 and all other vitamins, minerals and trace-elements. Aves Insect dustingpowder provides feedinsects with high contents of calcium, vitamin D3 and all other vitamins, minerals and trace-elements. Several high protein sources are added to nourish the insects during their final day before being fed. Aves-Insect dustingpowder and also Aves-Mealwormfood contain little iron to avoid iron intoxication. 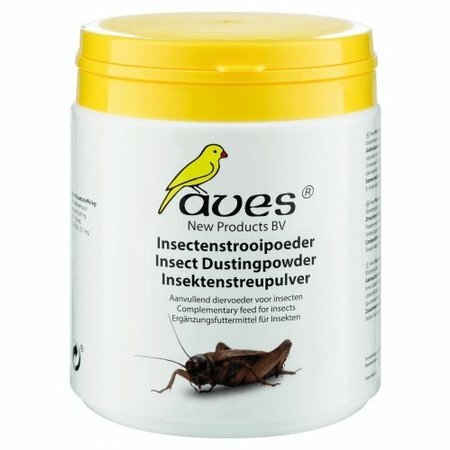 Directions for use: Aves Insect dustingpowder is dusted over insects before they are being fed. Immobilise crickets and grasshoppers by putting them in the refrigerator for a short time. Moisten them slightly. Dust them with Aves-Insect dustingpowder. Aves specialises in the development and production of birdseed. 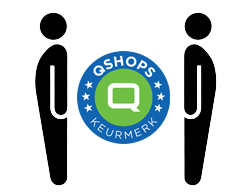 Through fundamental knowledge and research, Avesproduct has earned an excellent reputation for quality products. Through years of intensive contact with bird breeders, zoos and scientific institutions, Avesproduct can provide versatile, practical and objective information. Thanks to good service and technical support, Aves products have been used with great success since 1976. Many questions are asked again and again on the subject of birdseed. A concept such as the energy value, the desired nutritional value of bird food, the difference between vegetable and animal proteins, the function of vitamin E, the use of vitamins and minerals are just a few examples.